The deadline is coming up and you’re 3d environment isn’t ready. You still have to place more trees and plants to make it convincing. Your topology doesn’t look right and now the file size is creeping up and up. Use the simple technique of rendering your asset only. Match the the viewport perspective in your CAD program to a photo. Now you can drop it into the scene using Photoshop. Deadline achieved! See a good workflow for this below. Using the matching perspective technique can save you a lot of time in a project. Instead of building and rendering a full environment, you can use an image or a combination of images and HDRI’s to create a realistic backdrop. Or on more sensitive projects where the model has to be in a very specific environment to showcase minimal impact. See our project Eco Architecture. 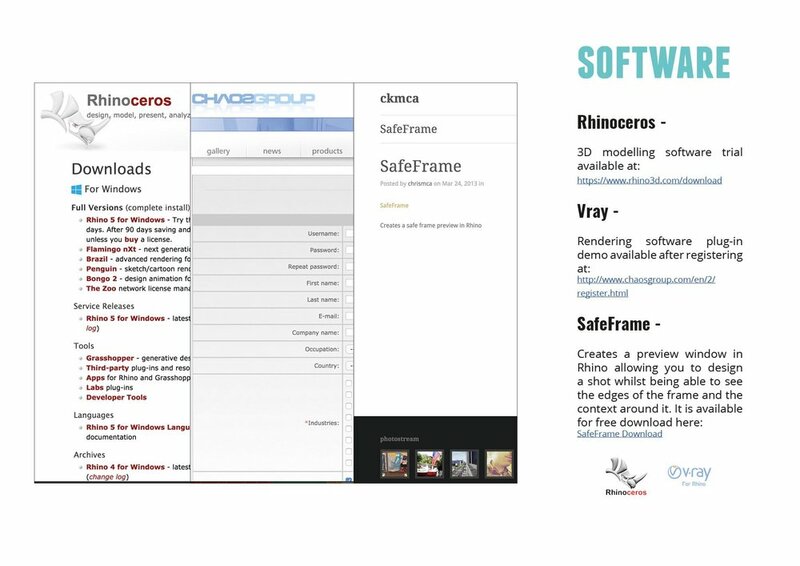 See the different software and plugins we use. And a useful starting point to find the photo perspective. Once you have selected the image you want to match the perspective with, right click ‘Properties’ in Windows OR ‘Get Info’ on a Mac to pull up the information window. If you found this article interesting download the full tutorial on our resources page to see the whole process. Check out Total Chaos 2018 CGI and Tech event in Sofia, Bulgaria from an attendee’s perspective. Join Ben as he experiences the city itself, the amazing talks / masterclasses and takes his Vray for Rhino certification exam. How do we design better workspaces? The world definitely divides into people who can maintain a minimal tidy work space and those who cannot. I have read many articles and seen editorial examples of the minimal office space but only encountered a few working ones in real life. Is open plan office design is dead? If architectural blogs are any indication, currently they seem nostalgic for the isolated cubicle of the 90’s sitcom era. I think it would be a crime to go back to the isolated days of seething frustration and four white walls of impenetrable partition. Join Ben on his journey through Develop 3D Live Technology Conference. He’s on a mission to find the best tech advances and tools for designers and engineers, from VR to rendering.